I am 100% committed in supporting you in experiencing your highest and best childbirth. This is done with continuous support throughout your pregnancy, during your birthing and into the postpartum period. If you want the best for yourself, your child and your family; if you want to raise your consciousness and vibration about childbirth; if you want quality, compassion, integrity and a highly experienced doula who is spiritually grounded, who loves and believes in natural birth (be it in a hospital, at home or birth center); yet at the same time, is an RN and understands how to successfully manage and navigate clients through hospital birthing protocol, then please continue reading and contact me. I will support you in building and anchoring a consciousness of faith, trust and vision during your pregnancy so that you are mentally, spiritually and physically prepared for childbirth. This will require commitment on both our parts. I’m in! Are you? Whether a woman births naturally or with medication, the ultimate goal is healthy mama and healthy baby. When a woman knows that she has whole heartedly put forth her all in her birthing efforts, she can exhale in full joy, without regret, as a new mama. This is your time! This is your husband/partner’s time! This is your child’s time! Remember, when choosing a doula, you must resonate with the doula’s energy and trust your own intuition. Angela J. Brown is a licensed Registered Nurse, Hypnobabies Childbirth Educator, Certified HypnoDoula, Pregnancy Life Coach, Prenatal Massage Therapist, Prenatal Yoga and Kundalini Yoga Instructor, Author and Speaker. She has been a Birth Doula for over 16 years. She founded DoulaLove’sCreation in 2005 after the transition of her mother. Angela has been a holistic practitioner for over 20 years, she graduated as a Spiritual Practitioner from Agape International Spiritual Center in Culver City in the early 90s. From there, she attended the University of Santa Monica “USM,” graduate programs in spiritual psychology. She has been a Kundalini Yoga Instructor for over 12 years and a Prenatal Yoga Instructor for over 10 years. 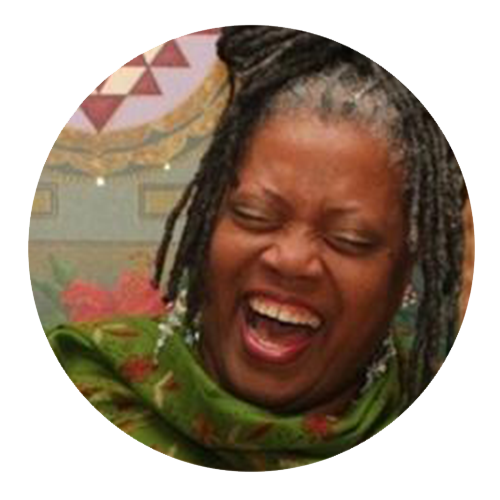 Angela brings the culmination of her life expressions and experiences into her practice as a Doula, Childbirth Educator and Pregnancy Life Coach. She has taught and supported countless of women and their families through childbirth, educational classes and private counseling. She reminds women of the Innate Intelligent Power that already lives within them. Angela masterfully guides each woman throughout her pregnancy so that she taps into this Innate Intelligent Power in preparation for childbirth and motherhood. Angela loves being a Doula, teacher and student of birth and living. She is passionate about educating and opening the minds and hearts of women and men as they prepare to be first time and extraordinary parents. The name Love’s Creation came from my mother. After her transition in May 2005, my siblings and I were packing up her home and letting go of what was no longer needed. I knew that my mom had business cards made years ago with her business logo and trade name, “Love’s Creation.” As I was packing her home up, I came across those business cards, and shall we say, the rest is history. Naming my business after my mother’s business was a wonderful and incredible way for me to honor her. Love’s Creation, “Love is YOU in Creation”. How else to describe a child growing within a woman’s womb other than Love’s Creation. Even if the pregnancy is not a “planned” one, the energy that ignited at the moment of conception is Divine Love in its most majestic of all physical manifestations. Each pregnant woman cultivates within herself this majesty of divine conception.